Pearl millet (Pennisetum glaucum), also known as bulrush or cattail millet, belongs to the grass family, the Poaceae. It was domesticated in the Sahel about 4500 years ago, spreading rapidly from West Africa to India, which is now a secondary centre of diversity. Pearl millet is the most widely grown millet and an important grain and forage crop in Africa and South Asia and a forage crop in the Americas. It is mostly grown under hot, dry conditions on infertile soils of low water-holding capacity, where other crops generally fail. 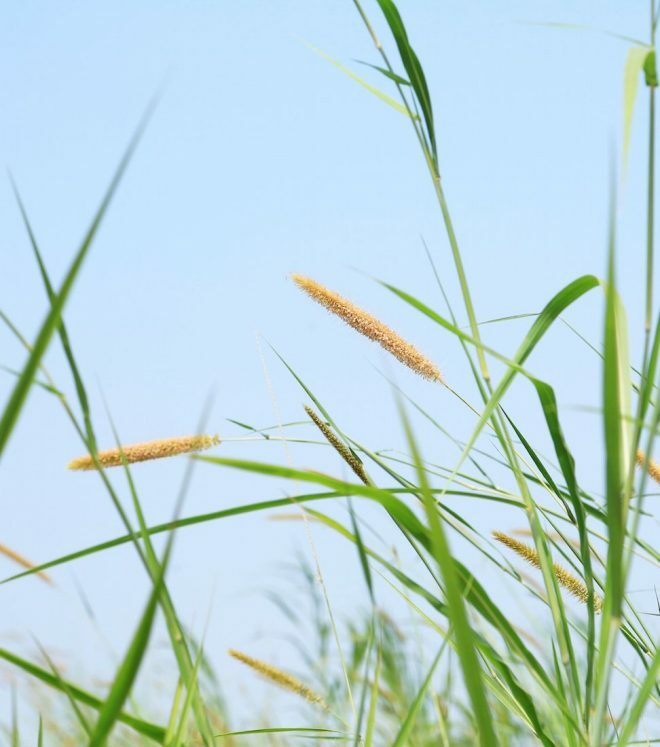 The genus Pennisetum contains about 140 species. The important wild relatives of cultivated pearl millet include: the progenitor, P. glaucum subsp. monodii; P. purpureum; P. pedicellatum; P. orientale; P. mezianum; and P. squamulatum. P. glaucum var. leonis (dominant on the West African coast). Pearl millet is outcrossing and landraces are highly heterogeneous. Stigma emergence precedes anther emergence, resulting in high levels of cross-pollination by wind. Precautions are needed to prevent cross-pollination during regeneration and preserve the genetic integrity of accessions. The largest genebank collection is held by ICRISAT in India with another large collection at the USDA Plant Genetic Resources Conservation Unit, University of Georgia, USA.